Commenting on the ongoing unity efforts among major opposition parties in the run-up to the 2019 Lok Sabha elections. Despite having low numbers in Parliament and losing power in many states, the Congress is still the only party which enjoys national acceptance and no opposition unity is possible without it, the Shiv Sena said on Monday. Commenting on the ongoing unity efforts among major opposition parties in the run-up to the 2019 Lok Sabha elections, the Sena said all the opposition parties were essentially regional forces, unlike the Congress which remains a “national force” by all reckoning. “The real problem before the opposition parties is whether to accept Rahul Gandhi’s leadership or not as there are many aspirants for the post of Prime Minister among opposition leaders,” the Sena said in edits in its mouthpieces “Saamana” and “Dopahar Ka Saamana”. Dwelling on the current political scenario, it said the secret of the Bharatiya Janata Party’s success was that it enjoyed a majority in Parliament, had huge wealth at its command, could “buy” anything with the added advantage of disunity in the opposition. “In spite of all this, BJP’s failures are evident and there is anger among the people. All allies have abandoned it and now it has dawned on BJP that only the regional parties can help it sail through the 2019 elections,” the Sena said. Asserting that “there is no alternative to Prime Minister Narendra Modi within the BJP”, which also suffers from a “trust” deficit, the Sena noted that the party had so far benefited only from the disarray in opposition ranks. “In this scenario, if the BJP’s tally falls by over 100 seats, then will it get MPs from Vladimir Putin or Donald Trump or the UAE? “In the past four years, people (in India) have gone against the BJP, but it has secured friendship of Putin and Trump… But how will this help in the elections?” the Sena wondered. Criticising NCP President Sharad Pawar’s observations that an “opposition front may not be possible before the next elections”, the Sena said it appeared a part of “Pawar Pattern” to create scepticism and everyone was left speculating whether the “disciple” was speaking through the “guru” – a reference to Modi’s statement a few years ago in Pune that he considered Pawar his “political guru”. 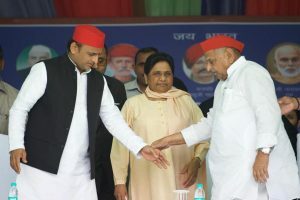 Among the opposition parties, there were several contenders for the post of Prime Minister — Mamata Banerjee, Mayawati, Akhilesh Yadav, M.K. Stalin, N. Chandrababu Naidu, Naveen Patnaik, K. Chandrashekhar Rao and even the 85-year old former Prime Minister, H.D. Deve Gowda. “The chariot is ready, and though the wheels are missing, several horses are already in the saddle… It is not even clear yet whether it will be named a Third Front or a Fourth Front,” said the Sena, which has decided to go it alone in all future elections. However, what they (opposition) cannot ignore is the scare Rahul Gandhi gave to the BJP in both Gujarat and Karnataka Assembly elections. But now all the opposition parties also were in a quandary whether to accept his (Rahul’s) leadership or not. 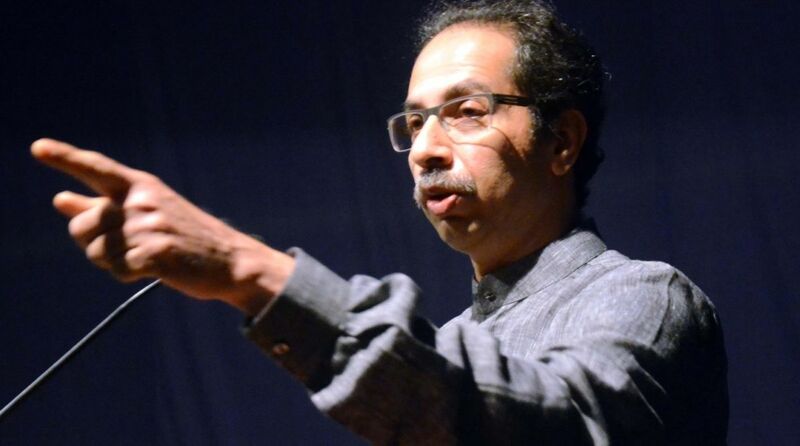 “A strong opposition is essential for a powerful democracy… In the interest of democracy, the opposition parties must concede as soon as possible to Rahul Gandhi who has scared the BJP… And the BJP is known for breaking the opposition to grab power,” the Sena cautioned.